The client is a medical device manufacturer who has developed a new system that enables living organ transplants. The system is designed to maintain organs in a functioning state outside the human body to optimize their health and to allow real time clinical evaluation. 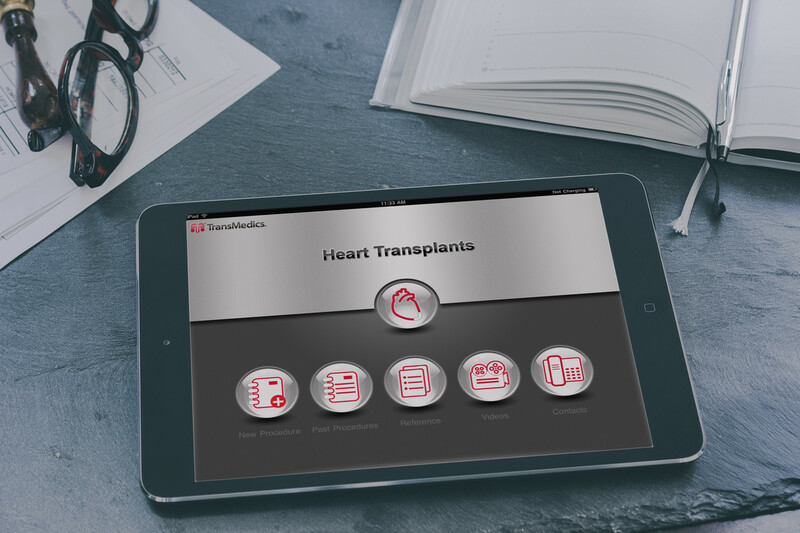 The client wanted to develop an iPad application which would allow physicians and organ transplant technicians in the field to enter functional information about the organ into the iPad app and receive back decision support information based on their inputs which will tell physicians about any adjustments that need to be made to the medical device while the organ is being transported. The iPad application would also contain product support information in the form of text, video, and documents for which physicians can access quickly and easily. The app would transmit data back to the client’s central support staff on a periodic basis so that support staff can assist physicians in the field when necessary. Since the iPad app would be used by physicians across the globe in very stressful and time sensitive situations (transporting organs on aircraft, cars, etc. ), the user interface needed to be simple and intuitive enough to be used by physicians globally. The user controls and icons, and workflows needed to be carefully designed so that use of the app will be error free when used by physicians in multiple regions of the world. Since the app could be used in remote regions and on airplanes, it also needed to be able to store data locally so that it can then later be transmitted once internet connectivity is re-established. Outright spent time understanding the medical device, its users, and the various environments and scenarios in which it would be used. Prior to development of code, Outright created wireframes and design mock-ups of the user interface which were then tested for usability with the client’s staff and potential physicians to ensure ease of use. As the device was developed, Outright released frequent versions along the way which were also usability tested as features and functionality were iteratively implemented. This process continued until the completion of the project.